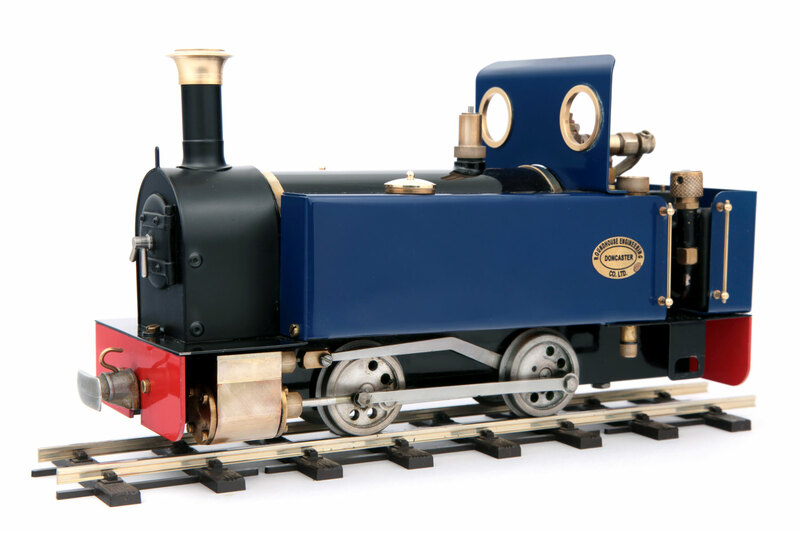 Millie was the first of our range of low cost locomotives. 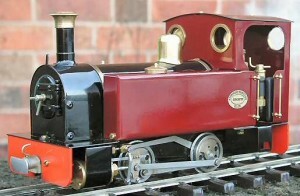 She is offered ready to run in a choice of colours and for either 32mm or 45mm gauge. The basic model is as pictured above with open cab, but you don’t have to stop there. Personalise it to your own requirements with the aditional parts and accessories available. Left : ‘Millie’ fitted with full cab, polished brass dome, water top up system, dummy brake handle on gas regulator, slidebar/crosshead/combination lever set, clip on cylinder covers and pressure gauge. Available in any standard ROUNDHOUSE colour. Pictured here in Blue. *NOTE* Insulated wheels are not available on this model and a long gas filling adapter is required.